édité le 26/02/2018 - Plus de news de "EMERSON" - Voir la fiche entreprise de "EMERSON"
Emerson, a global technology and engineering company, has completed its multi-year, $90 million (£64 million) automation project for BP’s Glen Lyon floating production, storage and offloading (FPSO) vessel west of Shetland. Emerson is now providing ongoing operational support services to help BP achieve its goal of producing 200,000 barrels a day from the North Sea by 2020. Emerson has served as the main automation contractor (MAC) for the Glen Lyon, which is expected to produce 130,000 barrels of oil a day at plateau. Its construction and commissioning was central to BP’s multi-billion-dollar Quad 204 project, which involved the redevelopment of the Schiehallion and Loyal fields to target 450 million barrels of oil and allow production from the hub to be extended to at least 2035. 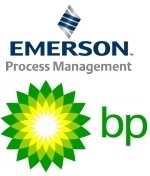 Emerson’s lifecycle services will help BP ensure ongoing safety, improve reliability, maximize availability and reduce operating costs. BP uses Emerson’s automation technologies including the DeltaV™ and DeltaV SIS integrated control and safety systems to help optimize production and yield, avoid environmental impact and operate safely.